The Comfort Pal Travel Pillow is Made From Special Thermo Sensitive Memory Foam And Provides Optimal Neck and Shoulder Support. 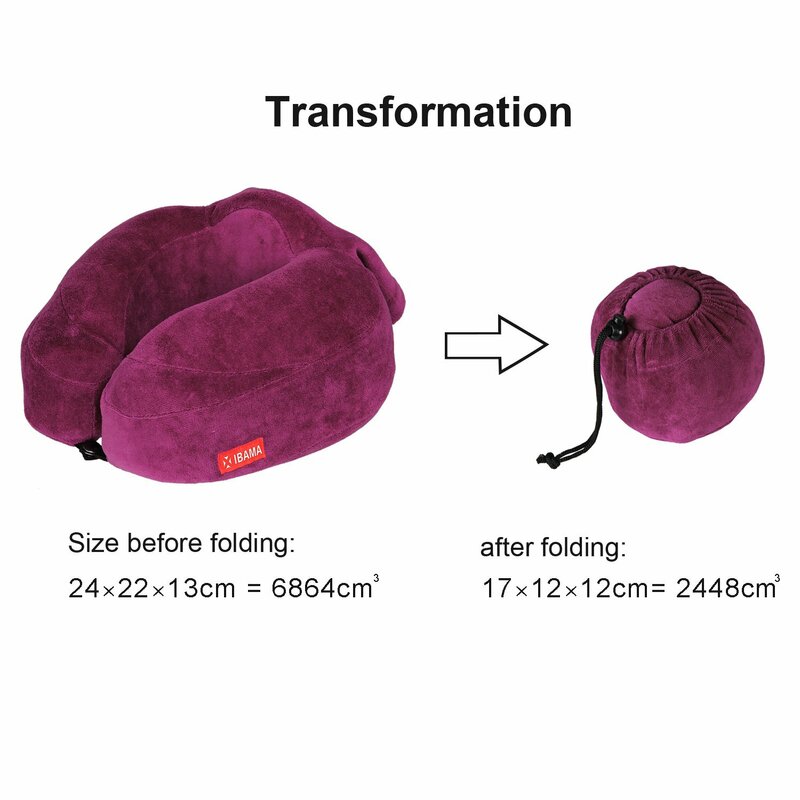 Compact bag that will compress the pillow down to 1/3 its size - Plus Now Comes With Special Elastic Strap That Allows Easy Attachment To Luggage / Bag. 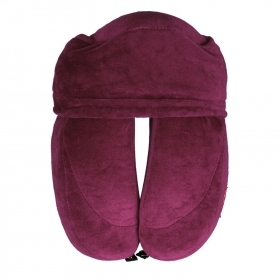 Travel pillows cushion your head and provide neck support to make journeying by plane, train, or automobile more comfortable. Not just for travel! If you have a reclining or rocking chair at home, this goes well with those! Molds Perfectly to Your Neck for Maximum Comfort & Support - Suits Adults & Children - Also Ideal For Chronic Pain Sufferers. 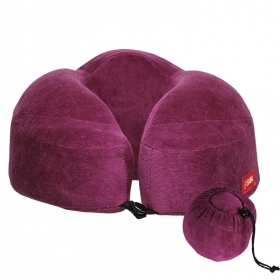 The travel pillow is very comfortable to both your head and neck. To adjust for your chin or for higher or lower heads just turn the pillow slightly to the left or right. The pillow is well made and not heavy and comes in a nice collection bag to keep it clean while traveling. Also the pillow does not get hot while you are using it. People carry travel pillows to make their trip more comfortable. 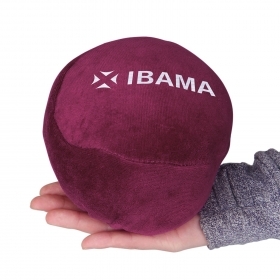 IBAMA Travel Pillow is a small by design, to take up minimal space. It is U-shaped and filled with Memory Foam. 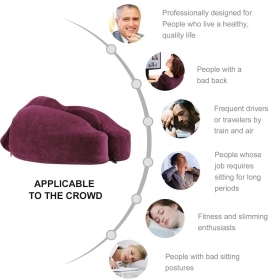 The modern design of this pillow for your neck results in a comfy pillow that molds to your neck to allow a natural neck position reducing neck and shoulder pain. Great traveling companion. Scrunches into it's own small bag! Compact bag that will compress the pillow down to 1/3 its size. 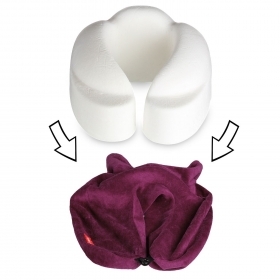 The Travel Pillow comes with a detachable machine-washable plush cover. Easy to use, very packable and high quality. 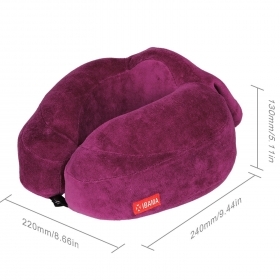 Created utilizing High quality Visco Memory Foam,memory foam Neck pillow moulds to accommodate the shoulder's natural curve and keep the spine in correct alignment. Cradles the head and neck, giving comfort and support and helping give you a better night's sleep.